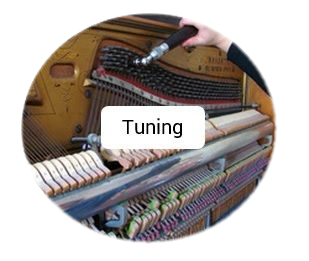 Tuning is the art of adjusting the tension on each of the more than two-hundred strings of an upright or grand piano, to achieve tonal harmony. 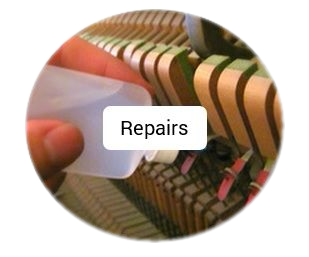 Depending on the humidity fluctuations in your home, and how often your piano is played, your instrument may need a tuning 1-2 times a year. This process usually takes about an hour and a half. You may or may not be able to tell when your piano is out of tune, but after a tuning appointment you'll not only notice the difference, but you'll love the improvement and enjoy your instrument more.